• Phase 1 – Develop and localize business compliance guidelines i.e. incorporate Tanzanian legal principles) for large companies and SMEs; formalize the principles through public – private sector recognition and endorsement. • Phase 2 Design an anti-corruption compliance program that includes Tanzanian service providers and locally trained experts that can provide training, consulting, and auditing services to Tanzanian companies. The compliance program should be tailored to the needs of Tanzanian firms/businesses but should be part of a pan-African initiative on anti-corruption compliance. The provider should be able to roll out a program and tool kit. The tool kit will include training materials, media and game for learning, compliance audit resources, facilitators manuals and more.The program should cater to both large companies and SMEs and include workshops, clinics and a pilot training to test the service offering. • Phase 3 – develop compliance system for collective action members and start auditing interface or/and integrate into reputable global database system for member companies. • Other trainings in the area of assignment will be an asset. 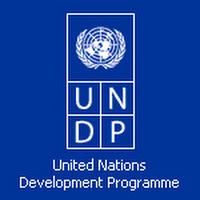 • Past experience working with private sector and/or UN system related project is an advantage. • High level written and oral communication skills in English. • Proposals should be submitted to icprocurement.tz@undp.org e-mail address not later than not later than Friday, 07 December 2018.